Basil used in your cooking or taken as a nutritional supplement can assist in combating common viruses like colds, flu, and herpes. Boiling basil leaves with honey and ginger is useful for treating asthma, bronchitis, cough, cold, and influenza. Boiling the leaves, cloves, and sea salt in some water will give rapid relief of flu. These combinations should be boiled in about two quarts of water until only half the water remains before they are taken. How often do you use basil and what for? Love basil even more now! Thanks for all the great info! 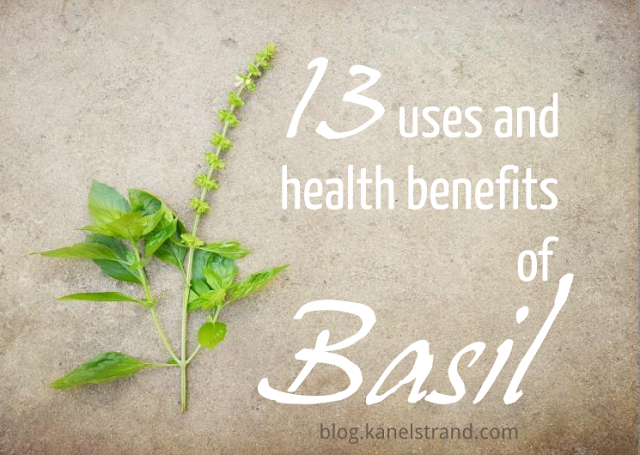 My basil plant is huge this year, it's nice to know it has so many uses.